Probably one of the most depressing ads I’ve ever seen. I have a feeling that’s not exactly what Weight Watchers was going for. The mind can be convinced but the heart must be won. George Lois is about as famous an ad-man as there will ever be. Apparently the one thing he may be better at than advertising is lying about his work in advertising, according to some of his former coworkers. His [George Lois] is a marvelous story. George is a talented storyteller with a vivid imagination. The only thing that could exceed it would be the truth. This American Life aired a story produced by Sarah Koenig, the daughter of Julian Koenig, detailing the inaccurate exploits of George Lois’ career. 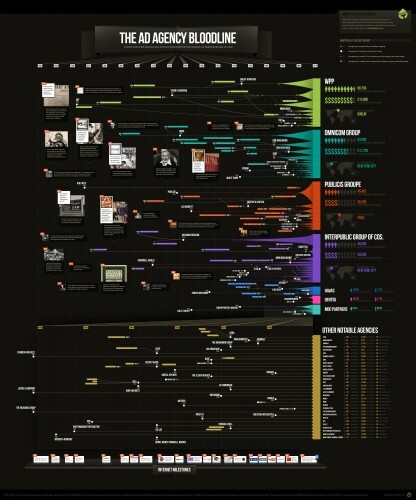 Vitamin T put together a very in-depth chart on the history and consolidation of ad agencies. 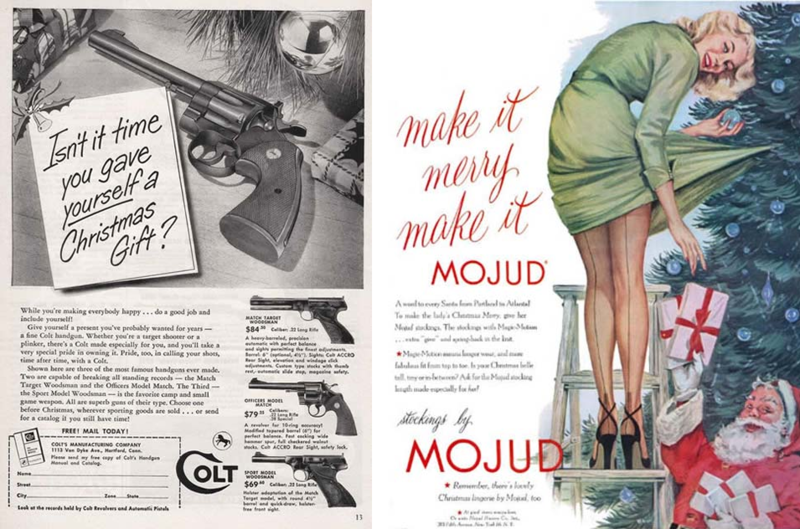 Nothing gets me into the Christmas spirit like guns and perverted Santas. And that marked the close of the epic Old Spice response videos. But at least now we get to see out how they did it. Nike, among others, has been killing it with their ads for the upcoming world cup. So there’s no better time to enjoy a classic Nike Football ad. Now I’ve never tried 5-Hour Energy, I’m more of a Red Bull man. But I’m told by those who have that a more accurate description would be “2-hour energy and a 3-hour crash.” Which makes their ads even more offensive. We’ve all seen them, but have you ever read the fine print? Check out this gem. *No crash means no sugar crash. 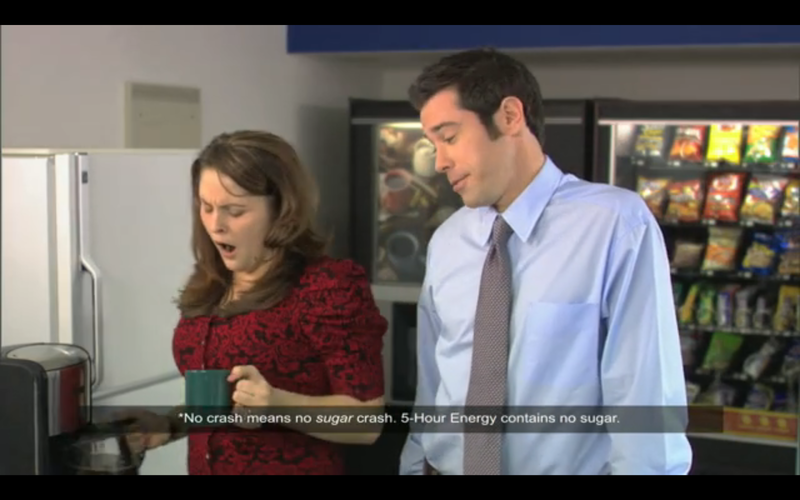 5-Hour Energy contains no sugar. How is that even allowed? That’s like saying “Cigarettes have never killed anyone. *Never killed means shot on the face with a bullet killed. Cigarettes do not contain bullets.” Just plain ridiculous.